Researcher Award (DECRA), and started this fellowship in 2015.1 at the same school. In 2017.10, he joined Discipline of Chemistry, School of Environmental and Life Sciences in the University of Newcastle as a lecturer. He has been working in the past 10 years on the rational design, synthesis and characterization of nanostructured materials composed of a large variety of components from carbons, metals, metal oxides, organic polymers, metal-organic frameworks to their corresponding composites. 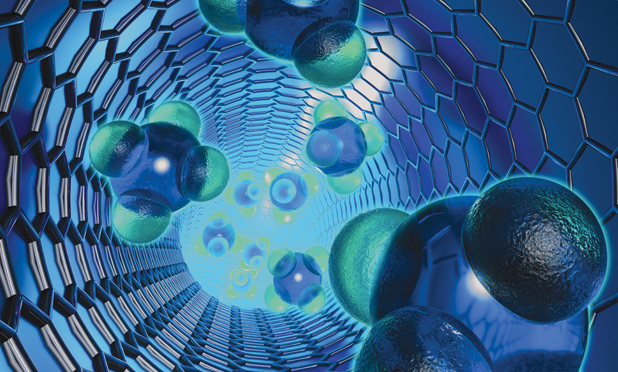 He especially aims at the energy and environment related applications of these nanostructured materials including catalysis, adsorption&separation, and energy conversion&storage. He detailedly investigates several (photo)electrocatalytic reactions including oxygen evolution reaction, oxygen reduction reaction, hydrogen evolution reaction, nitrogen reduction reaction and carbon dioxide reduction reaction, as well as their practical applications in realistic energy devices, with recent effect focused on the design of gas cathode electrocatalysts for metal-O2 batteries and metal-CO2 rechargeable batteries. Since 2008, he has published more than 100 refereed journal articles including 60 as the first or corresponding author, 30 with an impact factor > 10, 18 ranked as ESI Top 1% or Top 0.1% Highly Cited Papers, 7 invited reviews, and 5 issued patents. The total citation is over 7000 times, with an H-index of 38. As a guest editor, he has organized to publish 5 refereed journal issues. This paper reviewed synthetic processes for hierarchical meso-macroporous materials, including double-template method, one-step single surfactant/template-free method and biotemplate method, and their applications. Compared to single-sized pore materials, the hierarchical materials containing both interconnected macroporous and mesoporous structure are favorable for reactant molecular diffusion, due to increased mass transport through the materials and the maintenance of larger specific surface area at the level of fine pore system. These novel meso-macroporous materials can be widely applied to adsorption, separation of water pollutants, catalysis, solar cell electrode materials, fuel cell electrode materials, and controlled delivery and release of drug. 2 PhD top-up scholarships: $15,000 AUD per year for 3 years; Research funding: $20,000 per year for 3 years. 1 PhD scholarship (3 years); 2 exchange PhD scholarships (1 year); 1 visiting academic scholarship (1 year). This project aims to achieve rechargeable lithium-carbon dioxide batteries with high specific capacity, large energy density and excellent durability for clean energy conversion&storage, which will be used for applications from electric lighting, vehicles to grid energy storage. The reversible carbon dioxide conversion in the battery's gas cathode will be efficiently and stably catalyzed by low-cost graphene and MXene derived materials composed of earth-abundant nonmetallic and transition-metallic active species with controllable surface chemistry and nanostructure. The resulting lithium-carbon dioxide batteries are of great importance for minimising fossil fuel consumption, increasing energy security and expanding clean energy industry. Various gas-involved, key and clean energy reactions, driven by electrocatalytic processes, including oxygen reduction reaction (ORR), oxygen evolution reaction (OER), hydrogen evolution reaction (HER), nitrogen reduction reaction (NRR), and carbon dioxide reduction reaction (CRR), have attracted tremendous research interest for the sake of clean, renewable, and efficient energy technologies. However, these heterogeneous reactions exhibit sluggish kinetics due to multistep electron transfer and only occur at triple-phase boundary regions. Therefore, much effort has been devoted to the development of cost-effective and high-performance electrocatalysts to boost the electrocatalytic activities as promising alternatives to noble metal benchmarks. On top of the prolific achievements in materials science, the advances in interface chemistry are also very critical in consideration of the complex phenomena proceeded at triple-phase boundary regions, such as mass diffusion, electron transfer, and surface reaction. Therefore, insightful principles and effective strategies for a comprehensive optimization, ranging from active sites to electrochemical interface, are necessary to fully enhance the electrocatalytic performance aiming at practical device applications. The aim of this Special Issue is to cover promising recent research and novel trends in efficient gas-involved electrocatalysis with multiscale principles in terms of electronic structure, surface chemistry, hierarchical morphology, and electrode interface. The design and definition of various electrocatalysts for ORR, OER, HER, NRR, CRR is expected, as well as their practical applications in metal-air batteries, water splitting devices, fuel cells, etc. Electrochemical nitrogen reduction represents a promising technique for sustainable utilization of renewable energy like wind and solar energy, providing an alternative way to the climate and energy issues in Australia. The drive toward clean, renewable, and efficient energy technologies has generated tremendous research interest in developing clean key energy reactions that are driven by electrocatalytic processes, including oxygen reduction reaction (ORR), oxygen evolution reaction (OER), hydrogen evolution reaction (HER), nitrogen reduction reaction (NRR), and carbon dioxide reduction reaction (CRR). However, these reactions exhibit sluggish kinetics due to multistep electron transfer, and only occur at triple-phase boundary regions. Therefore, much effort has been devoted to the development of cost-effective and high-performance electrocatalysts to boost such electrocatalytic activities, as promising alternatives to noble metal benchmarks. In addition to prolific achievements in materials science, advances in interface chemistry have also been critical in considering the complex phenomena taking place at triple-phase boundary regions, such as mass diffusion, electron transfer, and surface reaction. Therefore, insightful principles and effective strategies for comprehensive optimization--ranging from active sites to electrochemical interface--are necessary to fully enhance electrocatalytic performance with an aim toward practical device applications. The aim of the current Research Topic is to cover promising, recent, and novel research trends in efficient electrochemical energy conversion reactions, with multiscale principles in terms of electronic structure, surface chemistry, hierarchical morphology, and electrode interface. Insights into the design and definition of various electrocatalysts for ORR, OER, HER, NRR, CRR are welcome, as well as their practical applications in metal-air batteries, water splitting devices, fuel cells, etc.